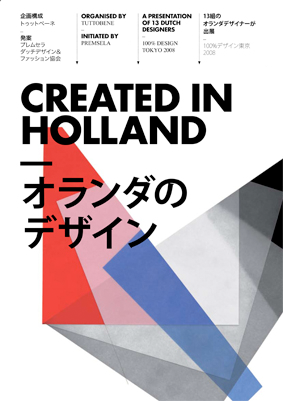 This article is based on the interview I had with Laurens van den Acker and has been published in the special issue magazine for 100% Design in Tokyo “Created in Holland” (by TuttoBene). â€œIt seems, you have to leave to find out where you are really coming from.â€ In the Netherlands, this phrase could have perfectly been read from a traditional â€˜sayings-tileâ€™ hanging from a nail in the toilet. It could also have been something that a wise Buddhist monk told you while visiting a Japanese temple for spiritual guidance. As Van Den Acker immediately left Holland after his graduation, he never really felt part of the Dutch design scene. However, there are some typical traits that he thinks come in handy for any Dutch designer or manager working abroad. â€œWe communicate easily, are pretty straight-forward, tolerant and still, quite democratic. We understand the necessity to build a consensus and are not very authoritarian in doing so.â€ Even though it is known that in Asian cultures building a consensus is of the greatest importance, the Dutch way of reaching a consensus is not necessarily similar or helpful in a Japanese company. Van den Acker explains that this has to do with the fact that in a Japanese culture, the team is more important than you are as an individual. The team speaks with â€˜one voiceâ€™ as they call it in Japan. 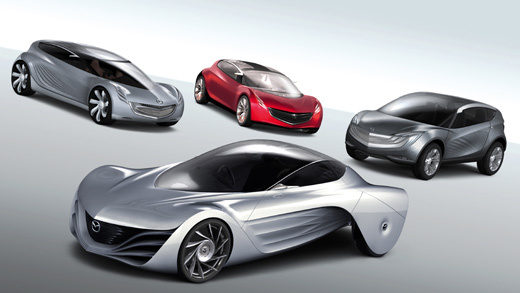 The observation that the brand and the team are the most important in a Japanese business helped Van den Acker tremendously in his first big assignment: creating a new design philosophy for Mazda. Before he did anything, he asked everybody if they wanted to make a big step or a small step. Everybody immediately said they wanted to make a big step. This opened important doors for Van den Acker. â€œIf you can indicate that what you are planning to do in terms of design is the right thing to do, then management is very willing to support you all the way. If you do it because you want to impress your friends, youâ€™re off trackâ€, he states. The power of Nagare is that it seems to appeal to everybody, as nature is such a universal concept, and it goes a lot deeper than just aesthetic appeal, as Van den Acker continues to explain. â€œIf we treat Nagare as just a couple of textures on a body side, then it wonâ€™t live a long live. 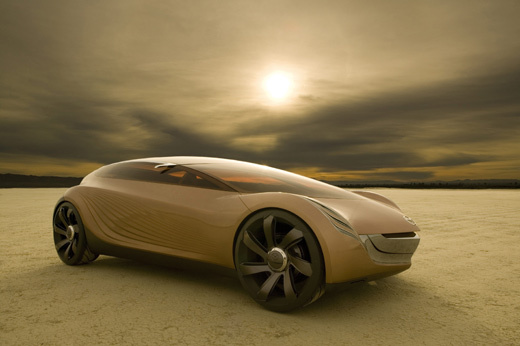 If we treat it as a design philosophy that we are starting to apply to body side surfaces, the details in the head lights, the interior, the choosing of the stitches, the materials, the textures, then it has the chance to become a design philosophy that can live for a generation or so. If we treat it as a true state of mind, then it has the chance to live with us for multiple generations. It will be up to us to get there, and of course, this is my goal.â€ It all seems to feel natural to Van den Acker, who puts his own emotion in motion to make cars that feel natural to all of us.